We can officially add luggage locks to the list of things we kind of never expected to get smart versions. Case and lock maker Dog & Bone is bringing out a keyless, TSA-approved, Bluetooth travel padlock that’s designed to keep unwanted people from getting their dirty hands on your underwear and hoard of duty-free booze. The company is showing off their new device at the Consumer Electronics Show in Las Vegas this week. 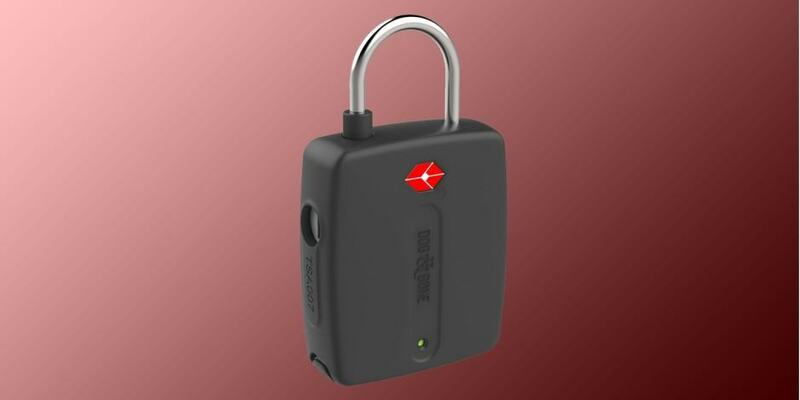 This lock joins the company’s standard LockSmart Keyless Padlock, which retails for $89.95, but we don’t know how much the travel version will cost yet. Dog & Bone also makes cases and screen protectors for both iOS and Android devices. The LockSmart Travel works with a mobile app, and it supports Apple’s Touch ID function to let you access your luggage without getting any superfluous taps involved. You can also provide a list of people authorized to get into your luggage from their own devices, and everything is hidden behind 128-bit encryption. You know what that means? It means the thing has red lights on it.